Tasted ex-chateau and single blind in Southwold. 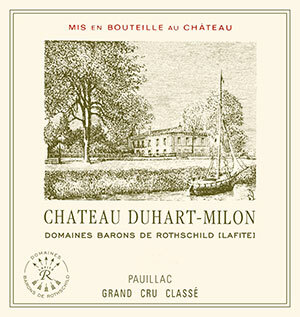 The Duhart Milon 2008 is really turning into a great Pauillac. It has a lovely, intense bouquet with blackberry, undergrowth and a touch of game with well integrated oak. Graphite aromas emerge with time. The palate is well balanced, quite austere with upfront graphite flavours, very classic with good substance on the foursquare, almost severe on the finish that is fresh and lively. One of the few easily identified under blind conditions. Tasted January 2012.